This has to be one of the most practical kitchen hacks that has come along in a good long while! If you are into reusing things, helping out the environment and just being clever in the kitchen; you’ll love this idea. Basically, you can make your own plastic wrap…without the plastic. 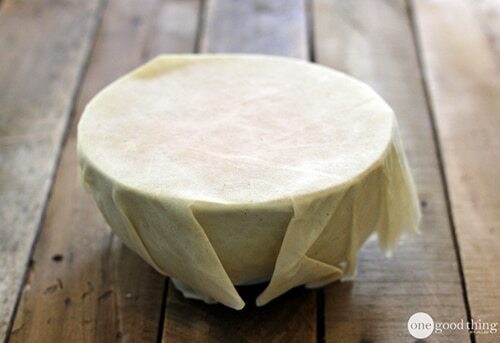 This ingenious technique involves fabric and beeswax in a super easy, 10 minutes process.